There’s nothing that epitomizes “The Taste of the Islands” more than Island Punch. So, creating a flavor that can transport you to a sunny beach with a tropical ocean breeze was the motivation behind Paradise Punch Lemonade. An exotic explosion of traditional Island flavors including cherry, orange, grape and pineapple – and of course blended with our Original Lemonade recipe – gives Paradise Punch Lemonade the perfect combination of sweet and sour. 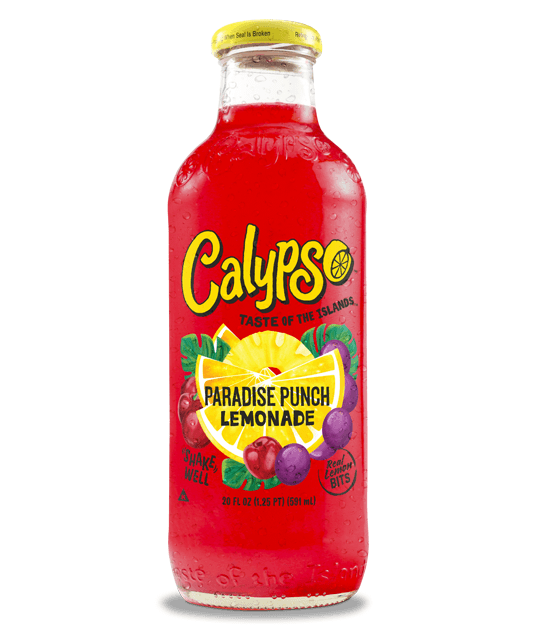 While Paradise Punch Lemonade is Calypso’s newest creation, it has quickly become one of our most popular, and is also a great mixer for Island-inspired cocktails.